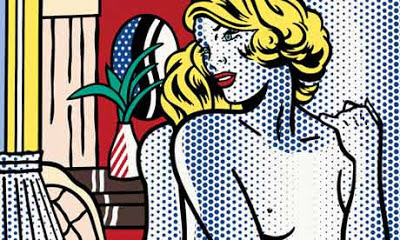 Sarah Churchwell has recently written a piece for the Guardian Review on the Tate Modern's Roy Lichtenstein retrospective. For the full article click here. Sarah also appeared on a special 'American' edition of the BBC's Review Show, discussing Tom Wolfe's 'Back to Blood' and Alistair Cooke's radio series 'Letters from America'. You can follow Sarah on twitter here. UEA student Emily Burt has started blogging for the world renowned publication US News and World Report. Currently on he year abroad, Emily's first blog 'Manage your Academic Workload as an International Student' addresses her experiences as a visiting student at UC Berkeley. Exploring the differences between higher education in the United States and the UK, her piece offers great advice for international students on how to adjust to life on an American campus. Emily is studying American Literature with Creative Writing at UEA. She is planning to have a regular presence on the US News website so keep an eye put for updates - especially if you will be embarking on your year abroad this September. You can check out Emily's article here and follow her on twitter here. 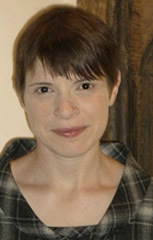 Tomorrow (Wednesday 13th) we are hosting Dr. Becca Weir (University of Cambridge) who will be giving a talk entitled, "'Our Own Baedeker': World and War in the Little New Yorker". This event will be held at 4pm in Arts 1.16. All welcome! 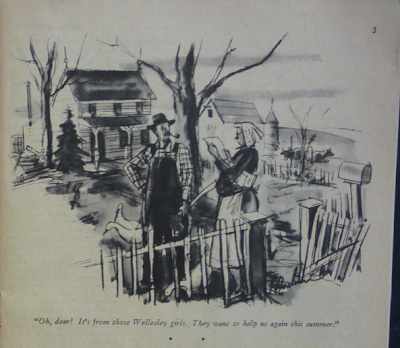 "The New Yorker's 'pony' edition for U.S. troops overseas has been called 'one of the greatest marketing moves in the history of magazines'; yet surprisingly little has been written about the 'little' New Yorker (1943-1946). Taking this edition as a starting point, this paper will explore the New Yorker's 'map work' in 1944-45. It will include material on the magazine's regular feature 'Our Own Baedeker' and 'Conflict' (the New Yorker office wartime newsletter)." I’m a Dutch booklover and amateur creative writer who, after a study abroad semester at the University of Leeds, decided that she wanted to come back to the UK for a longer period of time. After finishing my Masters degree at Utrecht University (The Netherlands) I came to UEA as a PhD-student. I’m now a first year student in the School of American Studies. I have a background in communication studies and literary studies. As an MA-student I started working on popular culture, (media) violence and contemporary American fiction. While writing my thesis I became interested in the relation between literature and society and transgressive literature in particular. My current project explores transgression in the fiction of Chuck Palahniuk and Bret Easton Ellis. Originally transgression was defined as the violation of norms and limits, but the concept’s meaning has changed over the past few decades. It is now often used to describe shocking art, literature, music or film. In my view, however, shock and transgression are not quite the same thing even though they can occur together. Shock bluntly crosses limits; transgression on the other hand questions them. In my view transgression’s bad reputation mainly results from its confusion with shock; actually the concept is much more complex and intriguing. 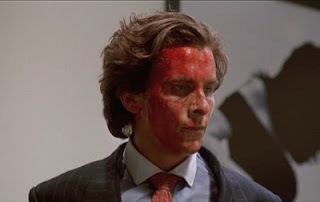 Have you ever wondered why people are interested in extremely violent books such as American Psycho? And if you are one of them, have you ever wondered why you like them even though you don’t like violence in real life? I have, and I’m sure I’m not the only one. Part of my research explores why people are drawn towards transgressive literature and explores what its value may be. I therefore look beyond the violent surface and analyse how it questions norms and limits. Moreover, my work shows that transgression is not a fancy gimmick. It does not only interrogate norms but also helps to create them. By confronting and excluding what they find inappropriate people decide what their norms are. This means that norms are actually less rigid than they are often perceived to be. Transgression can be a useful tool to think through seemingly self-evident ideas and contest them. Finally, Chuck Palahniuk’s and Bret Easton Ellis’ work deserves to be investigated in more detail. The authors of Fight Club and American Psycho have written many more intriguing books which (particularly in Palahniuk’s case) are often overlooked by scholars. Moreover, their work explicitly reflects on its context (the US from 1990 onwards) and has some very interesting things to say about, among other things, the culture wars, the militia movement, and 9/11. I love to share my research; in fact some of my best ideas have come up during discussions with others. I’m interested in everything even remotely related to transgression, including cult films, horror, metal music, and subcultures. If you’re passionate about one of those things, or if you have anything you’d like to share, you’re more than welcome to e-mail me or contact me on Twitter.